The Volaro gait trainer sling is designed so that it can be applied to an individual while they are in a sitting position. 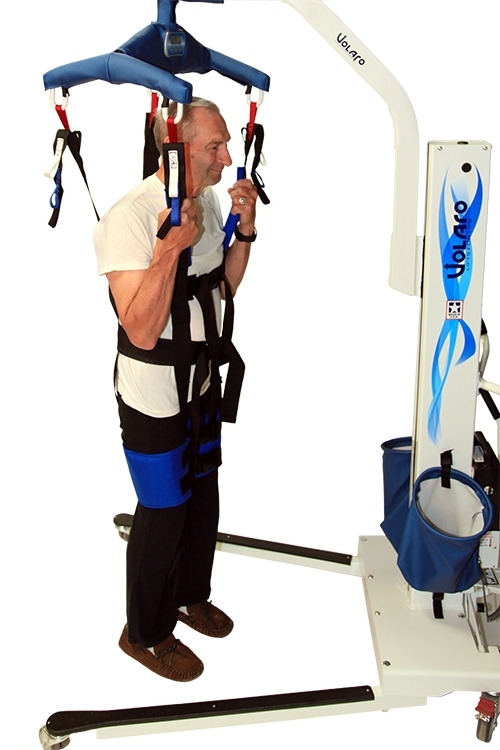 Once attached to a ceiling lift or our non-arching beam full body lift, you can lift someone from sitting to standing with full support from the sling. The weight of the person is transferred to their legs by the leg cuffs with no pressure under the arms.